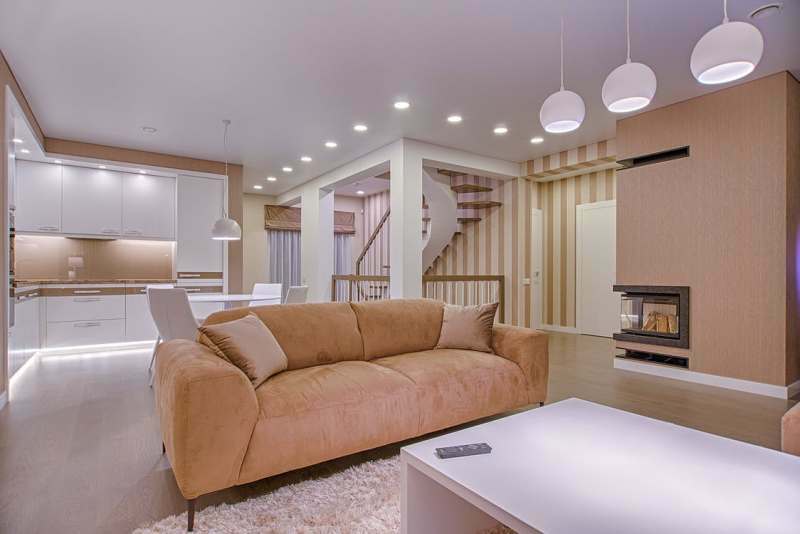 Heating your living room can be a challenge because it is such a large space. Some think that a central heating system would be best, because it is already installed in a home, but there is nothing wrong with getting a little extra help. 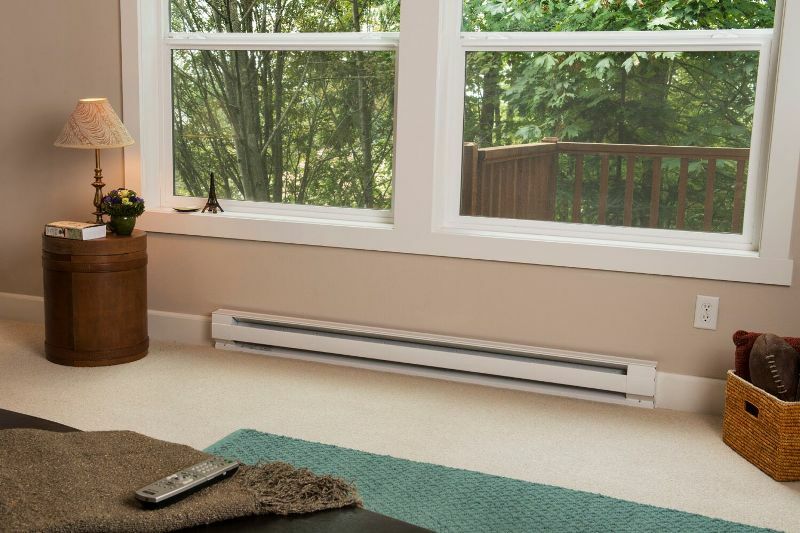 A baseboard heater would make a great addition to any living room to help lower the cost of your heating bill and to spread an even heat in your living space. One of the best things about a baseboard heater is that it is out of the way and is quiet when in use. This room heater is typically wall mounted or placed on the floor at the baseboards of a wall. Controlled by a thermostat, baseboard heaters can be set to heat up a room to a certain temperature which allows you to turn the thermostat down for your central air. Depending on your thermostat, you can set your electric baseboard heaters to hold a certain temperature or you can set your heater to run at a certain temperature all week! Why should I use a baseboard heater? 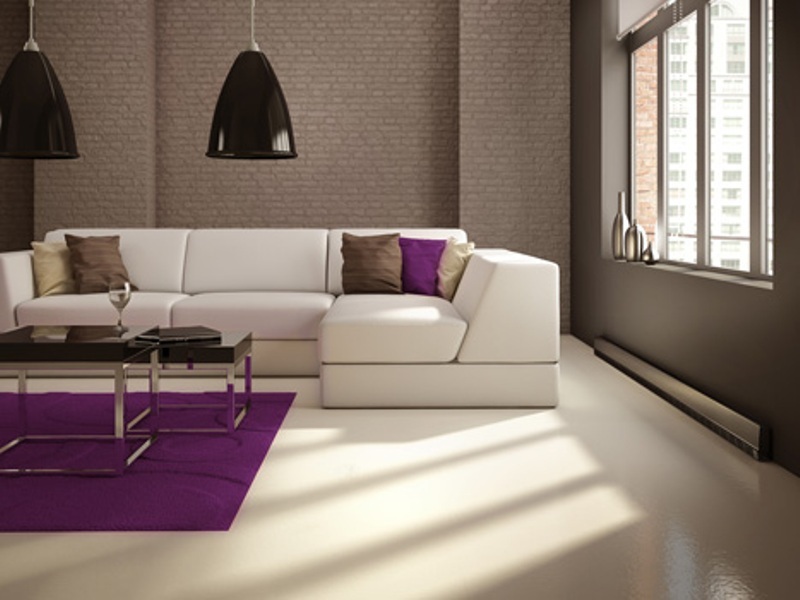 Baseboard heaters are used to help heat up individual rooms in your home. Because it is not heating the entire house, you want to put baseboard heaters in the main rooms that you use. Utilizing these room heaters will not only lower your energy bills, but baseboard heaters are perfect to use for hard to reach rooms or larger rooms in your home. 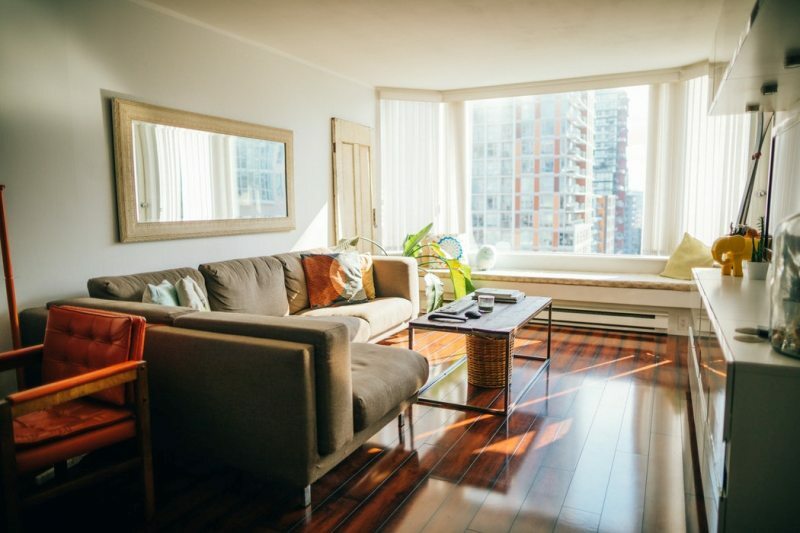 Sometimes the heat does not spread evenly, such as in a living room, basement, or garage, but by adding a baseboard heater to a room and having it heat a room from the bottom up, the heat will rise to even out the temperature to make it comfortable. When using convection heat, or sometimes hydronic-power, that don’t have ducts, heat spreads evenly without spreading allergens! What size room heater do I need? Depending on how big your room is determines the size of heater you need. Typically, baseboard heaters cover up to 150 square feet, but make sure your heater fits your room so you aren’t using more electricity than you have to! If your room is smaller than 250 square feet you can use a smaller heater, or even a portable one that can be moved around to different locations. Normally you want to look at the amount of power (wattage) your heater puts out in order to determine if it will fit in your designated room. Are there portable baseboard heaters? Yes! Baseboard portable heaters can be considered the best space heater for rooms in your home. Not only are they easy to plug in anywhere, but they are also light enough to move around (and sometimes come with a carrying handle). Also, they are pretty balanced and hard to knock over, which makes them a safe heater for both children and pets! This alternative heating source is perfect for apartments, dorms, older homes, or any compact living space. The supplemental heat will help effectively lower costs and perform just as well as a baseboard heater that has been installed! Portable baseboard heaters also come with some extra features, such as an automatic shut off button and/or a built-in shut off sensor to be activated when a desired temperature has been reached. Are baseboard heaters easy to use? 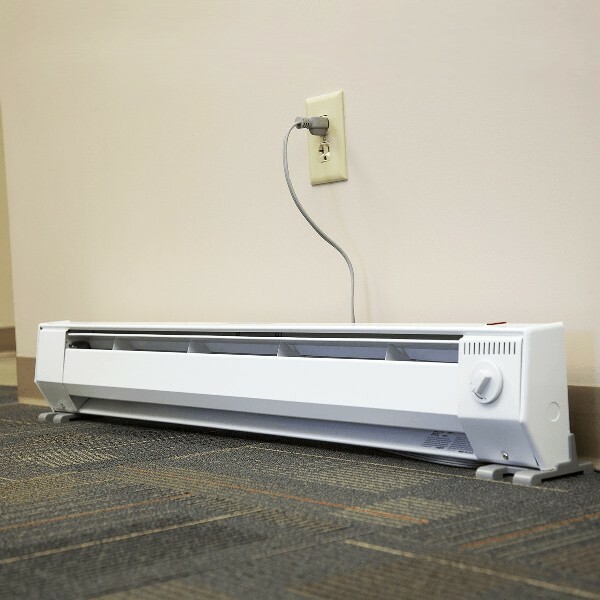 Baseboard heaters are easy to use and are easy to maintain. Electric baseboard heaters require little maintenance and can easily be cleaned with a vacuum while cleaning the rest of the house! Make sure you keep up with cleaning your heater because if you don’t, the baseboard heater will be less efficient, and it might not last its entire life span (typically around 20 years). Can I use a different electric heater in my living room? Absolutely! It is hard to choose what is the best electric heater for your living room because it depends on your style! Obviously electric baseboard heaters are easy to use and are safe, but some people want a little more pizzazz. A fun and exciting electric room heater that you can use is an electric fireplace heater. 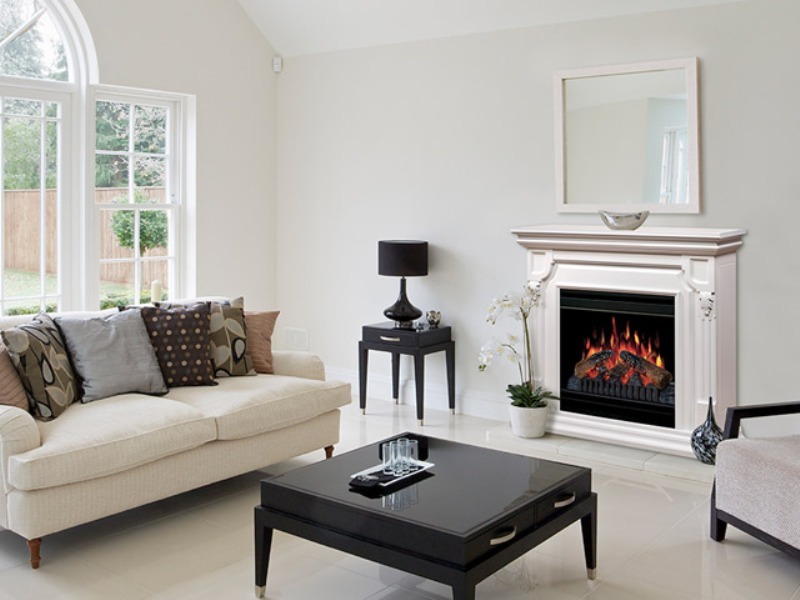 These electric fireplaces are usually wall mounted and bring a lively look to your space. The electric heater complements contemporary, traditional, and modern décor so that it blends easily in any room. The ultrasonic technology creates a flame and smoke effect so it looks like you have a real fire in your living room or room of your choice. There are rocks at the bottom that have a mist coming off of them that reflects against the light to make it look like flames and smoke. There are a variety of styles of these heaters that will fit your space, as well as different sizes that will help heat up your room! With the easy-fill water tank, you can leave your electric heater on for 14-17 hours before having to refill it! There is also a remote that allows easy control over the electric heater and it is safe! This heater is cool to the touch and acts as a green alternative to other heaters because it doesn’t give off any harmful particles or emissions. Stay energy efficient with these electric heaters for your living room today! Make sure your heater has the right amount of power to heat your room sufficiently! Don’t be that person who is too stubborn to turn on the heat and buy an extra heater today! Would you use electric baseboard heaters or electric fireplace heaters? Have your energy bills decreased while using supplemental room heaters? Connect with us and let us know what you think in the comments! Don’t forget to also connect with us on Facebook and Twitter to answer all of your heating and lighting questions!